For most of American history, the conventional wisdom was that religion was too private a matter to ask a political candidate about. 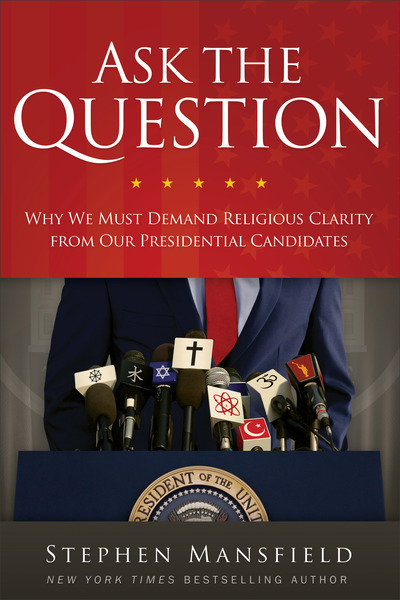 But in a political landscape in which we will see Muslims, atheists, Mormons, Buddhists, and Christians of all stripes running for high office, we cannot afford to avoid religious questions. It's within American voters' rights to know what their candidates believe about God and religion, because those beliefs shape policy and thus action. In both small and significant ways, a candidate's religious views (or lack thereof) define political leadership. And the time for skirting the question or giving vague answers is over. Frustrated and confused voters across the country and on both sides of the aisle will find here a balanced and essential guidebook to actively and intelligently participating in America's political system.